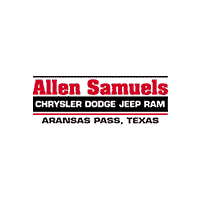 Why Shop for Used SUVs at Allen Samuels CDJR Aransas Pass? At Allen Samuels CDJR of Aransas Pass, we’re proud to carry such a strong selection of pre-owned SUVs, but that’s not all. You’ll enjoy positive customer service the moment you set foot on the lot, and our commercial vehicles inventory has plenty of options for Corpus Christi businesses. Schedule a test drive and apply for financing before stopping by. Our showroom is located at 877 HWY 35 Bypass Aransas Pass, TX 78336 near Beeville, TX, so come by, let’s be friends!